1. 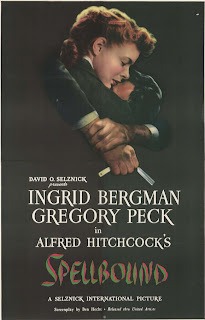 The performances--Ingrid Bergman is great as always. She is such an amazing beauty, and the drab look just about worked on her. Gregory Peck was creepy in this film, and managed not to go overboard as a mental patient. 2. Alfred Hitchcock's direction--I have always loved Hitchcock's movies, I think he was a true genius. The way he built up the suspense in the scenes was just, well, amazing. 3. Salvador Dali's dream sequence--When I first heard everyone buzzing about this, I thought it would be totally random and wouldn't fit with the movie. But when I saw it, I thought 'wow'. It was just so unique and beautiful, and completely out of this world. Probably one of the finest moments in film. These three things made a great film. 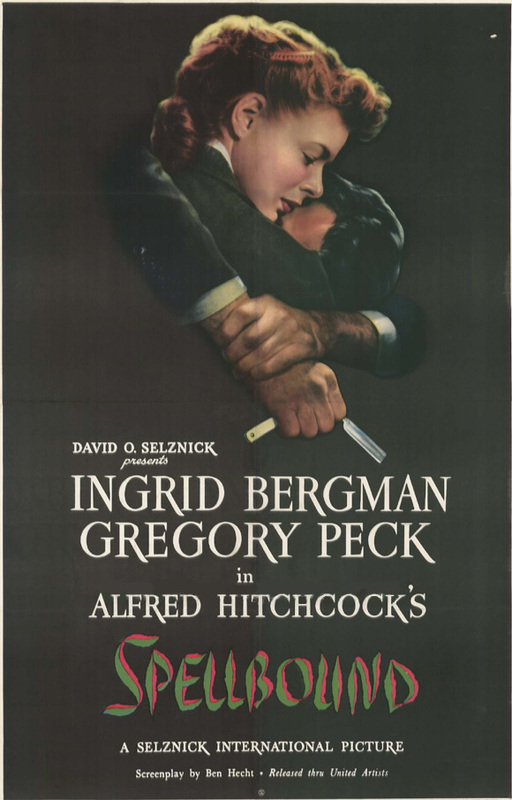 Bergman plays a mental institute doctor, who falls in love with another mental institute doctor. But she finds out that he is pretending to be a doctor when he is really a mental patient himself. The story can be confusing at some points, but I managed to keep up. I just loved this film so much.